Philatron prides itself on being one of the best cable manufacturers in the USA (specializing in custom-made cables and coiled cables/cords)! With 40 years and running and countless satisfied and repeat customers; you know you’re not getting the absolute best unless it’s made by Philatron! Also check out our brand new Flexy-Cord, a slinky-action coiled extension cord for home use! When the other’s say No, we say Yes Please! We are an extremely flexible and accommodating coiled cable manufacturer, and enjoy providing EXACTLY what our customer desires. Philatron is designed with you in mind. There is no job to big or small, normal or unusual for us. Remember, at Philatron we believe wire and cable suppliers are here for our customers, not the other way around. 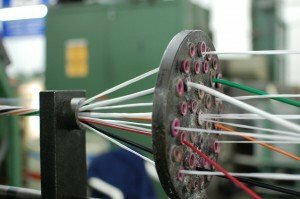 For many years we have acted as the wire and cable manufacturer of choice for many around the globe. We invite you to see what all the fuss is about even all you need is a basic power cable manufacturer to complete the job. We value your business and will give you the products you need to succeed, and the options to enable your growth. Contact us here at Philatron for a free quote and see how much good our cables can do for you. Philatron Wire & Cable refuses to compromise on quality for the sake of our bottom-line. We manufacturer all of our products here in the USA with pride ! We are a veteran-owned company and providing valuable jobs to hard-working Americans is one of our top priorities! As one of the few wire or 1000 mcm cable manufacturers in the United States, we provide an exceptionally well-crafted product that will always outlast and outperform the competition. Contact us today to discuss how we can meet your wire or cable needs!